From Pebble Beach to La Quinta, the Olympic Club to Torrey Pines, PGA West to Shady Canyon, Clublender now provides premium golf club rentals all across California. 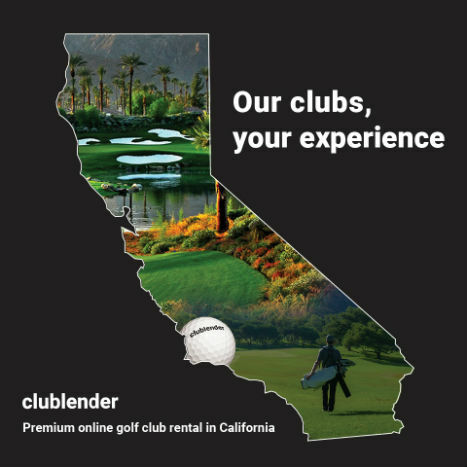 Anywhere you play in the Golden State, Clublender takes the hassle out of your golf experience. Never again suffer the headache of checking or round-trip shipping your clubs, let alone taking your chances renting clubs at a course. If you’ve been dreaming of trying a new set, demo from us before you buy. If you’re just taking up the game, own the experience, not the clubs. Select your clubs online from our new sets of Callaways, TaylorMades, Titleists and PXGs and let us take care of the rest. Clublender also rents rangefinders and offers golf balls and gloves online. Try the Clublender experience today.